With a sound combining beauty, clarity, and strength, Kirk Dougherty is one of the most exciting voices in opera today. His expressivity and commitment to both musical and dramatic interpretation has earned him continuous appearances as a leading tenor since he began a serious foray into the repertoire just seven years ago. Of his recent performances in Tosca at Opera San Jose, the Mercury News exclaimed, “Kirk Dougherty shined…The unique timbre and expression of his handsome voice, coupled with refined, satisfying phrasing, provided noteworthy, heartfelt performances of ‘Recondita armonia’ and ‘E lucevan le stelle,’ two of the treasured arias of the repertoire." ​This season, Kirk Dougherty makes his Piedmont Opera debut as Nikolaus Sprink in their production of Kevin Puts’ and Mark Campbell’s, Silent Night. He also debuts at Opera Las Vegas as the Duke of Mantua in Rigoletto. He returns to Wichita Grand Opera as Pinkerton in Madama Butterfly and as tenor soloist in their performance of Rossini’s Stabat Mater. He will also sing the role of Tamino in a concert version of Die Zauberflöte at Glacier Symphony. 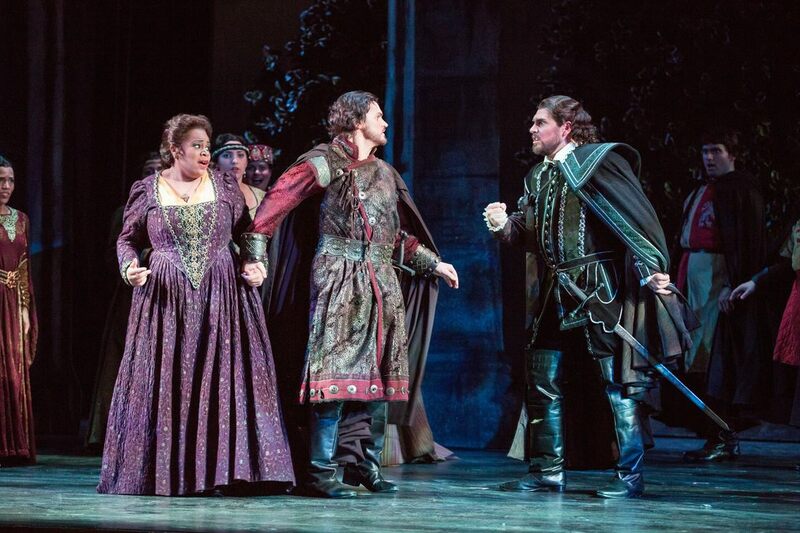 "...the remarkably versatile tenor Kirk Dougherty turned in another treasurable performance as Count Almaviva. Mr. Dougherty once again regales us with the honeyed voice that is pliable, beautifully produced, and consistently responsive. His forays into the upper reaches of the role are as comfortably negotiated as the charactful melismas. "As Mimi’s lover, the poet Rodolfo, resident tenor Kirk Dougherty made his finest company outing to date. Singing with power, focus and elegant musical line, he delivered his Act I aria, “Che gelida manina,” with ardor and generous, ringing tone."